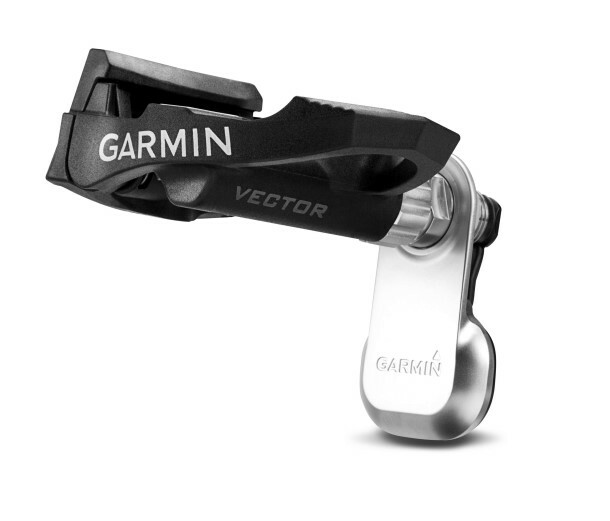 VECTOR ™ comes complete with a genuine Garmin networking system dedicated to cycle: GPS + Cardio + Cadence + power + Live tracking. The Garmin Vector is the new system that will allow you to see in real time the boost unloaded on the pedals during workouts and races. Will be officially presented later this month at theEurobike Show in Friedrichshafen. The link with the family GPS Forerunner and Edge compatible happens quickly and reliably thanks to ANT + Protocol. VectorR applies to both the pedals so you can analyze the percentage balance of power between the two arts and to rebalance the weaker leg work. With this latest Garmin completes a true networking system dedicated to the world of two-wheelers: GPS + Cardio + Cadence + power + Live tracking. The power of a cyclist is measured by the energy of its boost on the pedal and is multiplied by the Cadence, i.e. pedaling frequency. How do you get an increase in power? Two cases: on one side, giving it greater force on the pedal and keeping the same Cadence, the other by increasing the pedalling frequency with the same thrust. The result is easily understood: higher output power raises the athlete, the better its performance. The power, then, is an immediate and reliable measurement of the effort that the athlete is making, and alongside two other evaluation parameters such as heart rate and Cadence, you get a complete picture of the realtime scan performance. 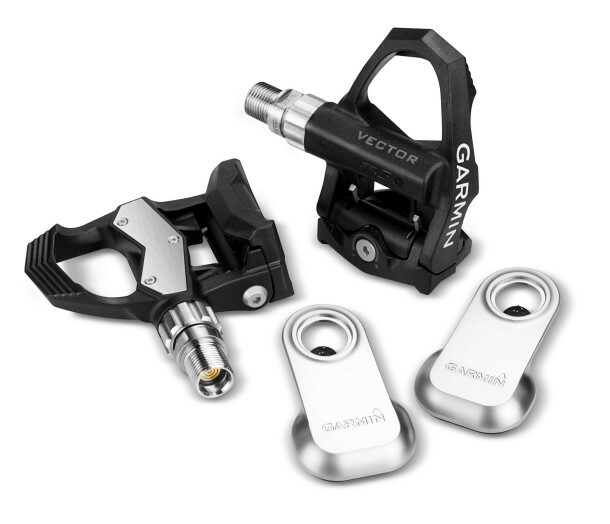 Vector consists of a pair of pedals that Garmin has designed with integrated power measuring, for training in competitive cycling. It is equipped with piezo-resistive sensors with high precision, housed inside the pedal. Piezo sensors transmit parallelepiped with ANT + wireless protocol multiple signals per second to a "pod" outside of the pedal (which also contains the replaceable battery) to a GPS Forerunner or Edge series, compatibile1. Vector also fit vector thrust forces and the "recovery" with independence of pedal leg. The operation is extremely sophisticated: power detection is based on the measurement of the amplitude of the pedal and the direction of pedaling force itself. Technically the system detects the twisting on sapling/pedal spindle and combines the distance accomplished in a revolution, then getting the power expressed in Watts. Vector provides precise and accurate data by analyzing the "behavior" of the right leg and the left, allowing specific workouts for the balance of forces between the two limbs. Vector was developed to be installed quickly and easily. In fact, many of those who so far have deepened the theme of power measurement have surrendered in the face of technical solutions often complicated, expensive and involving mechanically their bicycles. But now the panorama changes radically thanks to Garmin proposal that combines Vector the requisite qualities: simplicity and reliability. No change, no Crankset installation resulting in the purchase of a new wheel for the rear hub, solutions are required. Ease of installation will be its main advantage, because you don't need a mechanic, so much so that it can be quickly intercambiato on various bicycle. In addition, thanks to the built-in accelerometer, you do not need the presence of a speed/Cadence sensor optional Garmin for Cadence analysis, because it provides also the Cadence in RPM. The analysis on Garmin Connect. And once they return from training or from the race, you can download on the Garmin Connect website any data, for a careful analysis of the watt expressed crossing values with heart rate, Cadence, speed, slope, climb, outside temperature and much more. VECTORTMS transmits data to the GPS Garmin Edge series (models 500/510/705/800/810) and Forerunner ® 310XT and 910XT and is compatible with Keo2 Look pedals. The power displayed on Edge. The display of the Edge not only you can view the total power, balancing a percentage of right leg and the left and the Cadence, but will now also can view in real time more than 20 data fields expressly dedicated to training with detection of espresso and wattage power parameters adopted from TrainingPeaksTM3, i.e. Normalized Power (Normalized PowerTM-NP), Factor of intensity (Intensity Factor – IFTM) and Stress Factor (Training Stress Score-TSSTM), three items that can be investigated in the most renowned training software on the web.